There are a few points I should discuss before we leave behind Jean-Philippe Rameau‘s Les Indes galantes. Needless to say, this piqued my curiosity. I also noticed the frequent use of the word “nations” in the music literature of the time, beginning with the reign of Louis XIV or as of Jean-Baptiste Lully. 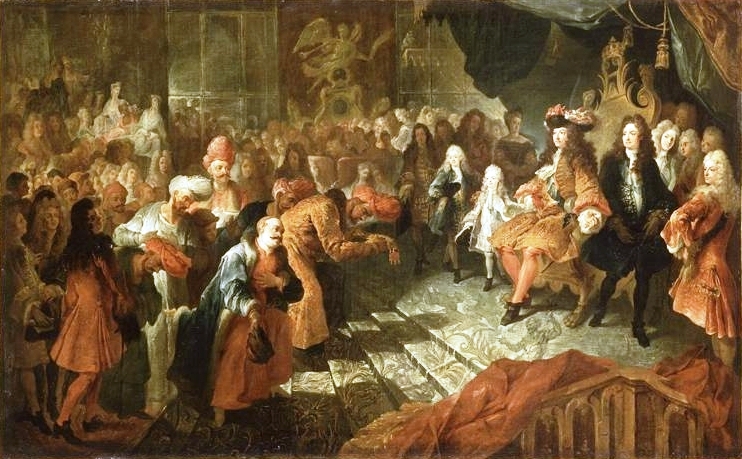 The final ballet constituting the Bourgeois gentilhomme is named “Ballets des Nations.” Rameau was Lully’s successor. For instance, Marin Marais wrote a Suitte [sic] d’un goût [taste] étranger [foreign] in 1717, performed by Jorgi Savall who has been restoring music of the 17th and 18th century. Jorgi Savall provided the music for the film Tous les matins du monde (Every morning in the world). Why say du monde (of the world)? Savall’s ensemble, called the Concert des nations, has also recorded music by Rameau. It could be that the word had a slightly different connotation, that it simply meant “d’un goût étranger” as in Marin Marais‘s Suitte d’un goût étranger. For six months Marin Marais was a student of Monsieur de Sainte-Colombe whose story is told in Tous les matins du monde. Sifting through the music of François Couperin (10 November 1668 – 11 September 1733), I noted that François Couperin[i] wrote a piece entitled Les Nations. I doubt that in the 17th- and 18th century France, the word nation had the same meaning as it does today. It may have encompassed a wider territory that our current nations. Moreover, Amerindians consisted of nations. In an earlier post, I mentioned that the Byzantine Empire had fallen into the hands of Ottoman Turks in the middle of the fifteenth century (1453). As a result, Byzantine scholars (Greek culture) fled to Western Europe prompting a Renaissance, the Renaissance. However, if, on the one hand, the fall of the Byzantine Empire had a great impact on Western Europe, the revival of Greek culture, on the other hand, citizens of the now huge Ottoman Empire travelled north creating a taste for all things oriental, but also threatening European cities. The Orient was not new to Europeans but Orientalism reached an apex in the seventeenth and eighteenth centuries. 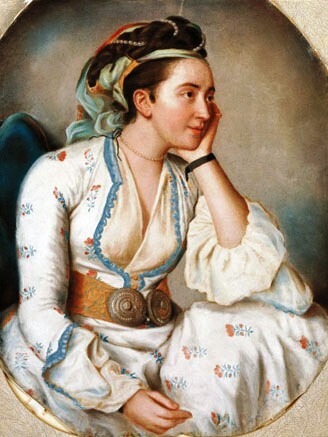 Orientalism in fashion became known as “turquerie” and, in its early days, “turquerie” included Persia, which may confer a degree of unity to Les Indes galantes’ various entrées. Matters did not change until the publication, in 1721, of Montesquieu‘s Persian Letters (Lettres persanes). Montesquieu‘s[i] Persian Letters were written after the visit, at the court of France, of ambassador Mohammed Reza Beg or Mehemet Riza Beg. 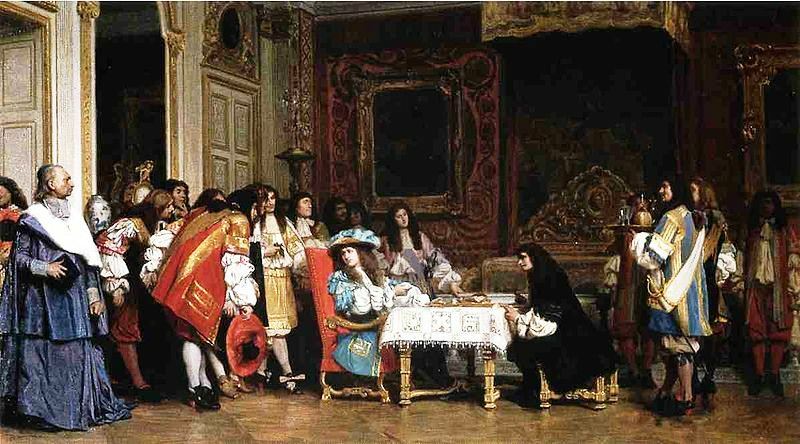 In 1715, the year Louis XIV died, he was visited by Persian ambassador Mohammed Riza Beg who established an embassy in Marseilles. Montesquieu’s Lettres Persanes were written and published after the ambassador and his entourage spent several months at the court of Louis XIV. Louis XIV was very fond of turqueries. The music was composed by Jean Baptiste Lully (Giovanni Battista Lulli; 28 November 1632 – 22 March 1687). The ballet was choreographed by Pierre Beauchamp. 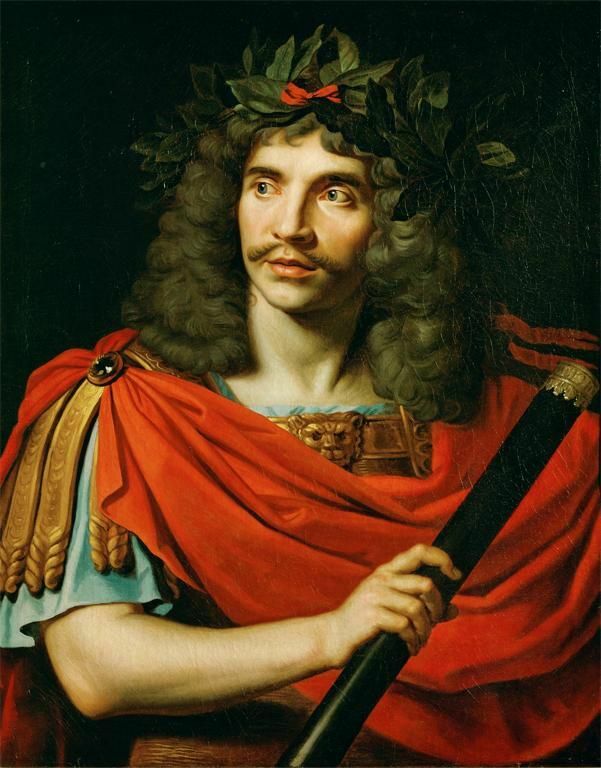 But the comedy was written by Molière (1622- 1673), one of France’s foremost dramatists ever. Added to the turquerie, the fifth and final act of the Bourgeois gentilhomme (The Would-be Gentleman), is the Ballets des Nations. It features Gascons, people from Gascony, Spaniards and Italians as well as a blend of persons from different classes. So the idea of nation surfaces again. 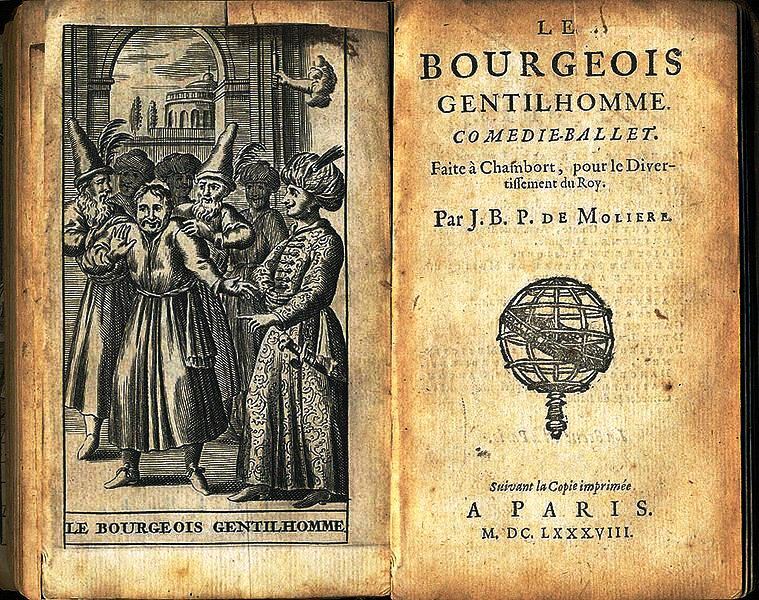 In short, both the Bourgeois gentilhomme (1670) and Rameau’s Indes galantes are turqueries and illustrate the two kinds of turqueries, Orientalism and a deceitful play-within-a-play. Each may in fact combine elements of both turqueries. [i] Montesquieu’s full name is Charles-Louis de Secondat, baron de La Brède et de Montesquieu (18 January 1689 – 10 February 1755), but he is referred to as Montesquieu. His most influential book is The Spirit of the Laws, De l’Esprit des Lois, published in Geneva in 1748. [ii] Charles Mazouer, Trois comédies de Molière (Bordeaux: Presses universitaires de Bordeaux, 2008), p. 17. Micheline, my dear, thank you so much for your article so well documented! For me is the greatest pleasure to read articles and listen to selected songs. Here you always find the pure art! Incatare is for me! Once again thank you so much! Turqueries are a lovely little area of knowledge. I have readers who use my posts to study. Then the posts have to be well documented. You are such a good person. I mean it: be blessed!